International Images International Film Festival for Women (IIFF) 2014 report by Oshosheni Hiveluah. Photos : O.H. This year’s International Images International Film Festival (IIFF) took place from the 15th until the 23rd August 2014 in Harare, Zimbabwe. Flagged under the theme “Women Alive, Women of Heart” the festival had a delightful array of films from all around the world, portraying women in front of the camera and also behind. The festival officially kicked off with a screening at the Eastgate Mall in downtown Harare. We all anticipated the scheduled opening film Half of a Yellow Sun, which due to technical difficulties could not screen. However, the audience enjoyed Joel Karakazi’s Imbabazi (The Pardon) instead. I got the chance to talk to filmmaker Veronique Doumbe about the importance of being able to tell our stories, the way we want to and from our perspective. “Films such as Imbabazi make you relive the pain, so we don’t have to go through the same thing”, says Veronique who is producer of the film. The festival films were screened at three different venues around the city namely Ster Kinekor at Eastgate Mall, Alliance Française and the Book Café. In attendance were several filmmakers from across the globe such as Andrew Dosunmu, director of Mother of George. 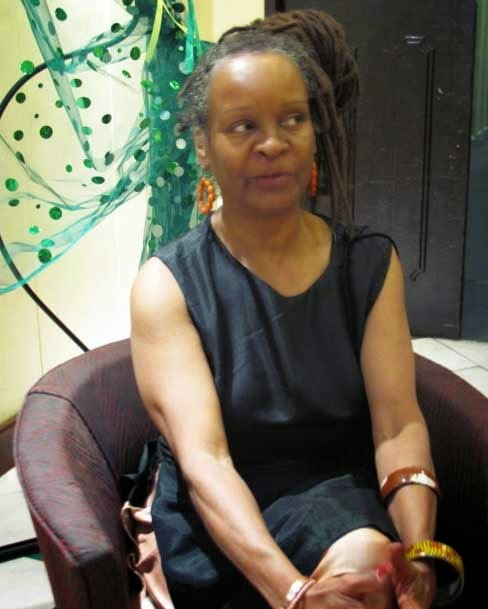 Veronique Doumbe, who produced and edited Imbabazi, was amongst the invited guests. Also present were founder and first festival director Tsitsi Dangarembga and several local filmmakers, fans of films, and government officials, all of whom came to show their support for the filmmaking industry. This year’s theme “Women with Heart”, for me was meant to be a reflection of the power and strength of women, no matter how subtle. I ventured to find stories of courageous women, women unafraid to tell their stories. 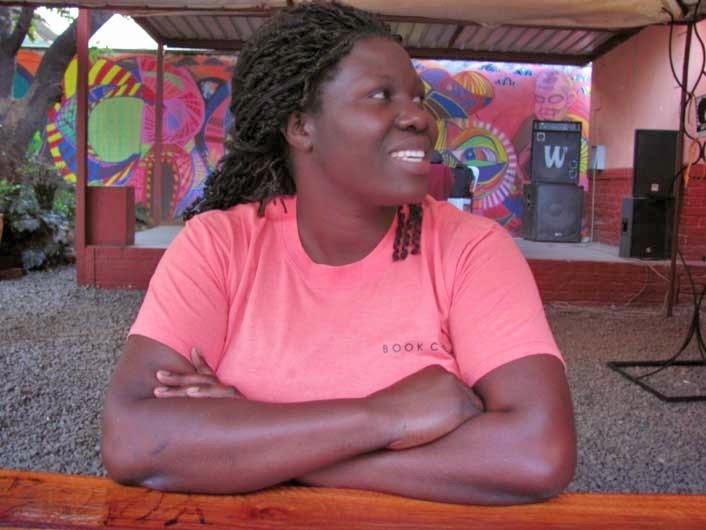 One such story was the 23-minute documentary, A Story of Hope; A Stitch in Time (Collen Mogoboya, 2014) about a local cervical cancer survivor Talent Fadzai Jakado, which screened at the Book Café. Touching, heartfelt and personal, it is a story of hope that assures that we can rise above anything. Camera Woman (2014) by Khadija Harrad was also a film that stood out for me. It tackled the issue of divorced women in Moroccan society, women being stereotyped because of the type of work they do. A film about women comradeship and the importance for women to support and encourage one another especially when one is down and under. 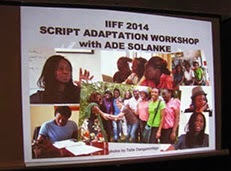 The festival also hosted a script adaptation workshop lead by British-Nigerian writer Ade Solanke. The feedback from participants was inspiring, some of which highlighted how it empowered Zimbabwean writers with new writing skills. Images International Film Festival is growing and expanding. This year they are extending the festival to Kenya and Somalia. The festival will also screen and host workshops in November in Zimbabwe town/cities of Bulawayo, Gwanda and Binga. The 2014 edition of the festival was entertaining and interesting and as other festival goers commented it would help the festival with a big surge of more support so more people can attend the festival and be part of this discussion. IIFF celebrates women who despite daily challenges emerge stronger. A well made film that portrays men in a very positive light. In the Israeli-Palestine conflict men have been fighting at the expense of women and children and it was good to see two men advocating for peace and working to create a safe world for their families. 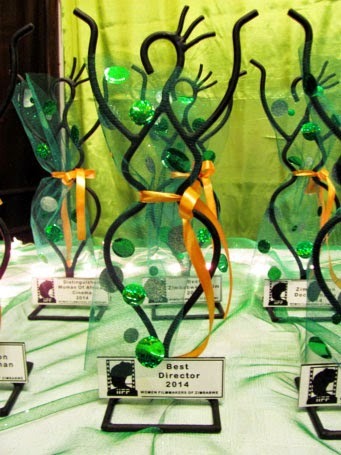 *The jury did not award the Best Zimbabwean Documentary and Zimbabwean Film with Best sound. Great story. Thank you Beti and Oshosheni. Imbabazi was a great film. I enjoyed the fact that the story of genocide was not focused on the political perspective rather the personal relationships of the people affected + violators.